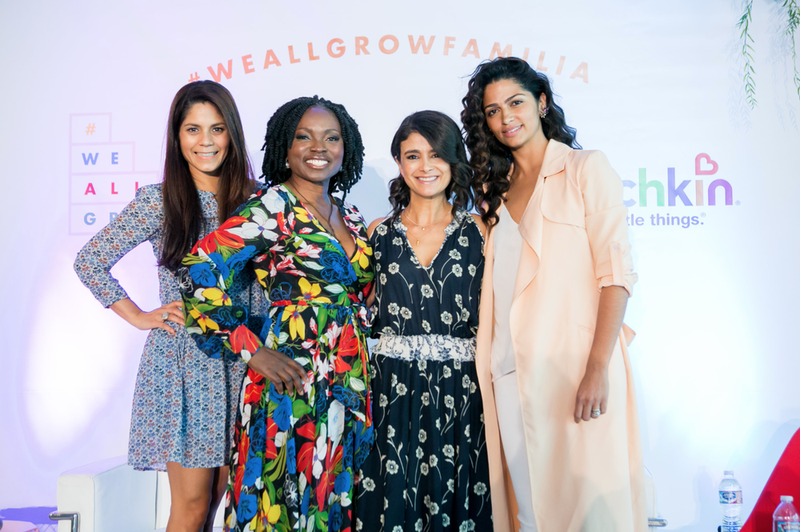 One of the newest summits for We All Grow Latina is #WeAllGrowFamilia focusing on the milennial Latina mom. It is an invite-only event connecting brands with storytellers for a day of networking, mentorship and workshops. 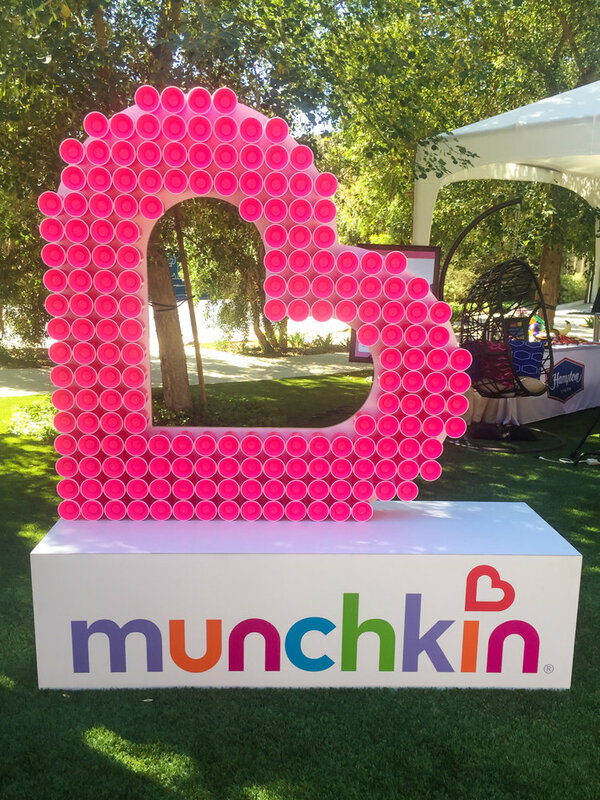 The bright, modern and clean design of this summit was highlighted by elements of vibrant art and primary colors which are major influencers of Munchkin, the title sponsor of the summit. 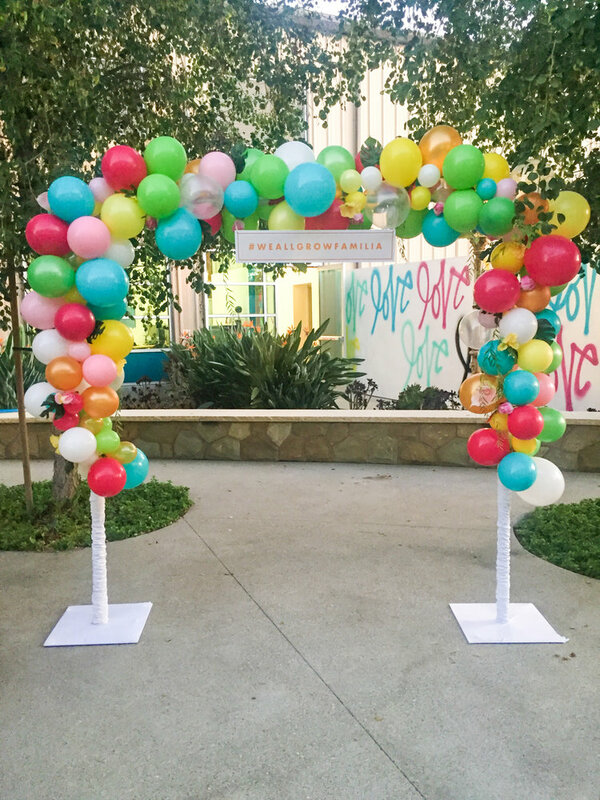 As guests entered, they were welcomed by a photo op created out of brightly colored balloons, floral and tropical leaves which was the perfect spot for branded #WeAllGrowFamilia selfies. 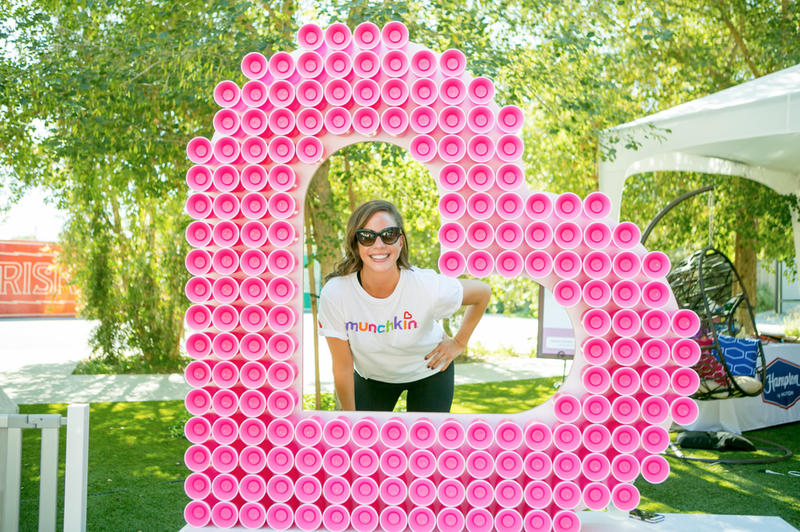 Guests enjoyed a breakfast sponsors by Honey Bunches of Oats where we set up a picnic inspired eating area with pops of orange and centerpieces made with HBOO Cereal Boxes and bright floral. 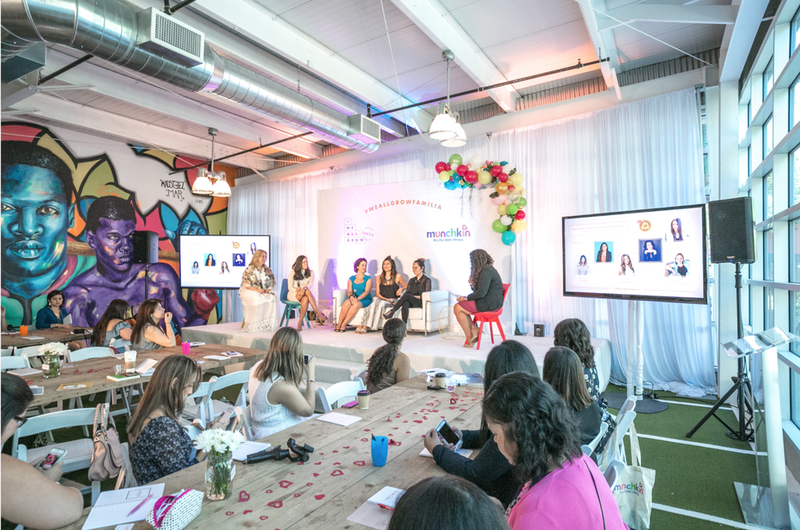 The seminars took place in Munchkin’s Glass Room where our clean white stage and brightly colored furniture created a comfortable space for speakers to connect with the audience. 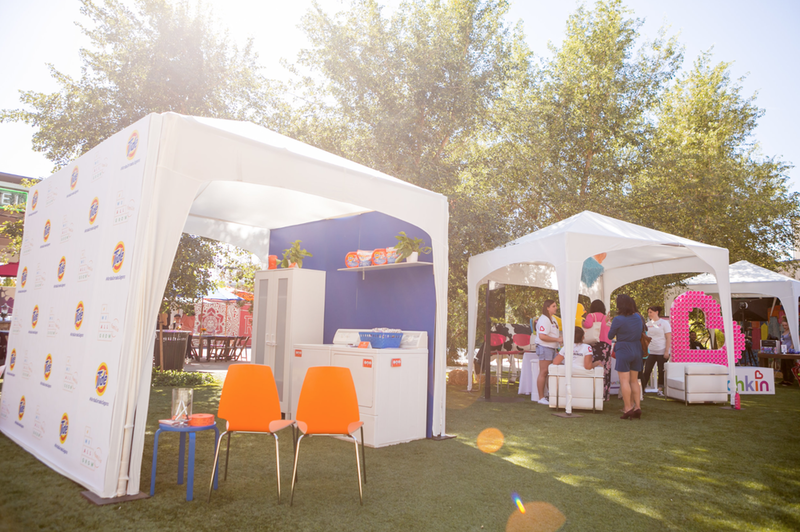 We also worked with sponsors to create a marketplace area where guests could walk from tent to tent and learn about each brand. 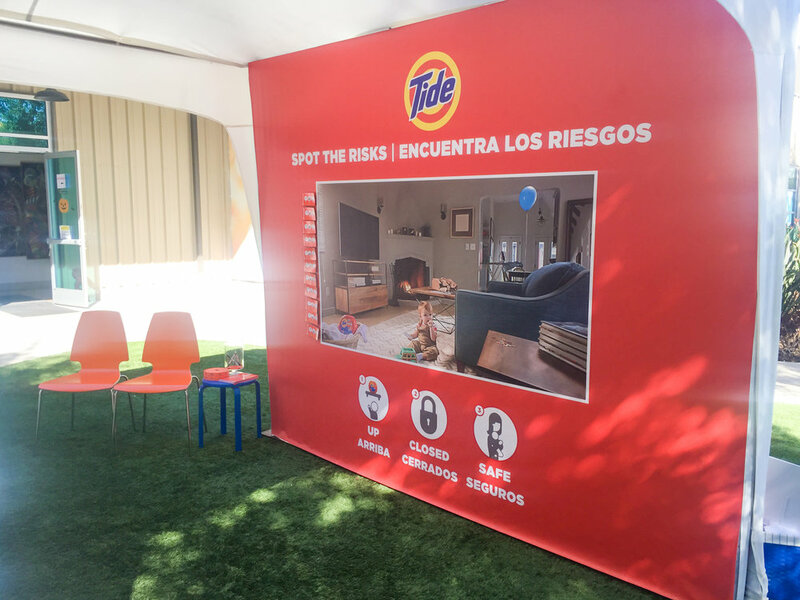 We created an interactive space with Tide that featured a magnetic wall where guests used magnets to identify possible hazards in the home for their little ones. A full laundry room design was also created to help demonstrate the safest ways to store your laundry products to keep away from children. 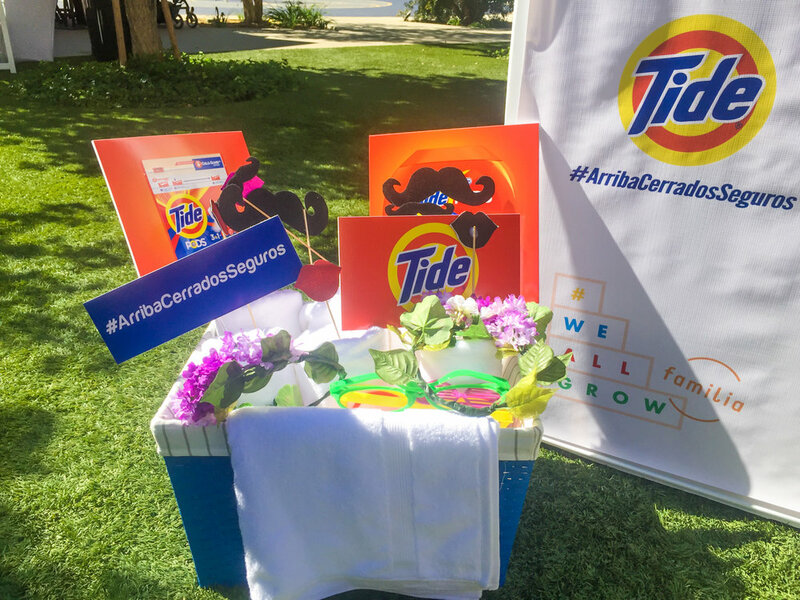 Hampton by Hilton featured a selfie spot where guests could hang out in hanging lounge chairs complete with branded pillows. Guests could also choose their next Hampton by Hilton Seekender Travel moment by putting labeled flags on an interactive map to show their next travel location. Yummy Spoonfuls used one of our gallery walls to showcase their brand. At the end of the night, Ford hosted a cocktail reception in the parking lot complete with a michelada mobile. To create the cocktail reception space, we used hedge walls to define the space so guests welcomed into an inviting and welcoming space. 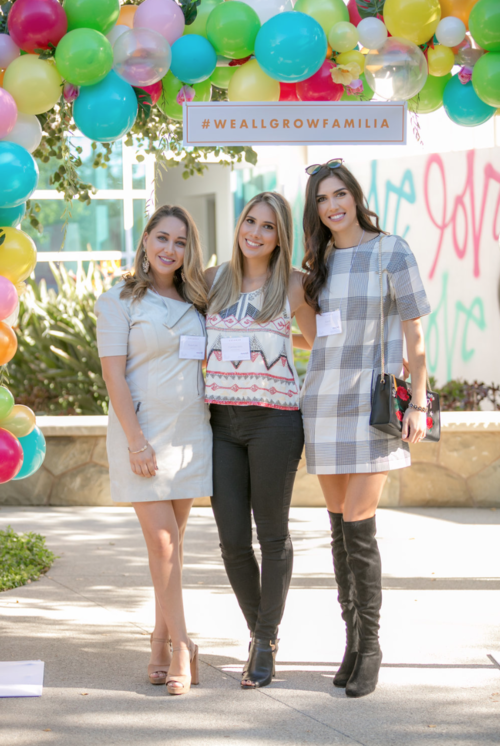 We loved the message of this event and loved helping these brands and influencers come together.